Troy Cunningham's Spokane East Valley High School won a spot in the state tournament in May 1983 and Cunningham had a big hand in pitching them there. Cunningham took a no-hitter into the sixth inning in the regional championship win, according to The Spokane Spokesman-Review. And he did it as a sophomore. "The kids rose to the occasion," East Valley coach Ken Stacy told The Spokesman-Review. "Cunningham is an amazing young man. He is a heads-up player and is constantly learning." Cunningham later closed out his high school career and went on to play in college. He also played in the pros. His pro career, though, was brief. He played in only two professional seasons. 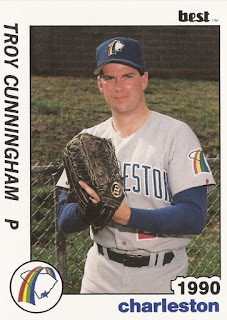 Cunningham's pro career began in 1989, taken by the Padres in the 43rd round of the draft out of Gonzaga University. Cunningham threw a perfect game, striking out 15 in American Legion game in early June 1985, according to The Spokesman-Review. Days later, he was taken by the Padres in the eighth round of the draft. Instead, he went to Gonzaga. 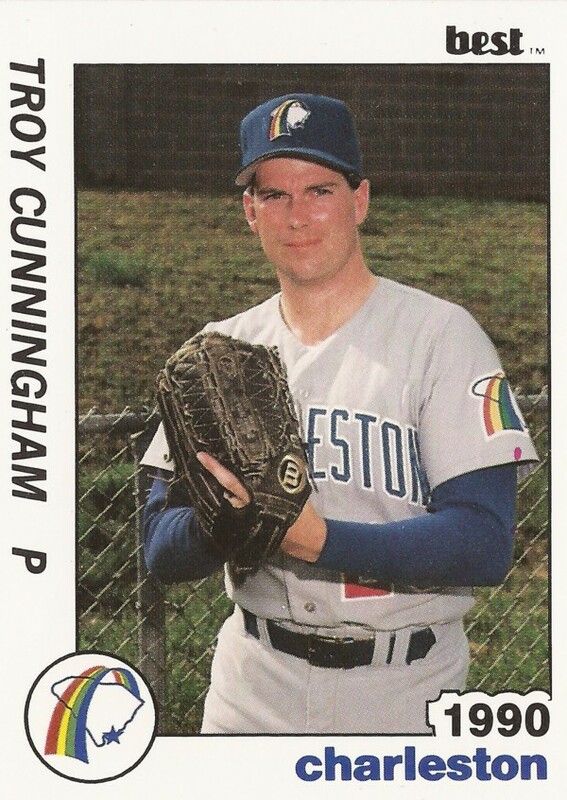 At Gonzaga, Cunningham got a win in relief in a mid-April 1989 game. He also pitched portions of both sides of a double header that same month. But he couldn't keep up his draft stock, taken by the Padres again, but in the 43rd round. With the Padres, Cunningham started in his hometown, with short-season Spokane. In his professional debut, Cunningham picked up a 4-3 win. "Cunningham threw well; I just took him out because he'd thrown enough pitches," Spokane manager Bruce Bochy told The Spokane Chronicle afterward. He did a good job. ... The pitching was outstanding tonight." Cunningham went on to get into 18 games for Spokane that year, starting three. He picked up that one win and two losses. His ERA came in at 6.15. He returned for 1990 at single-A Charleston. In 40 outings, 15 starts, Cunningham went just 4-11, with a 4.33 ERA. It was his final season as a pro.